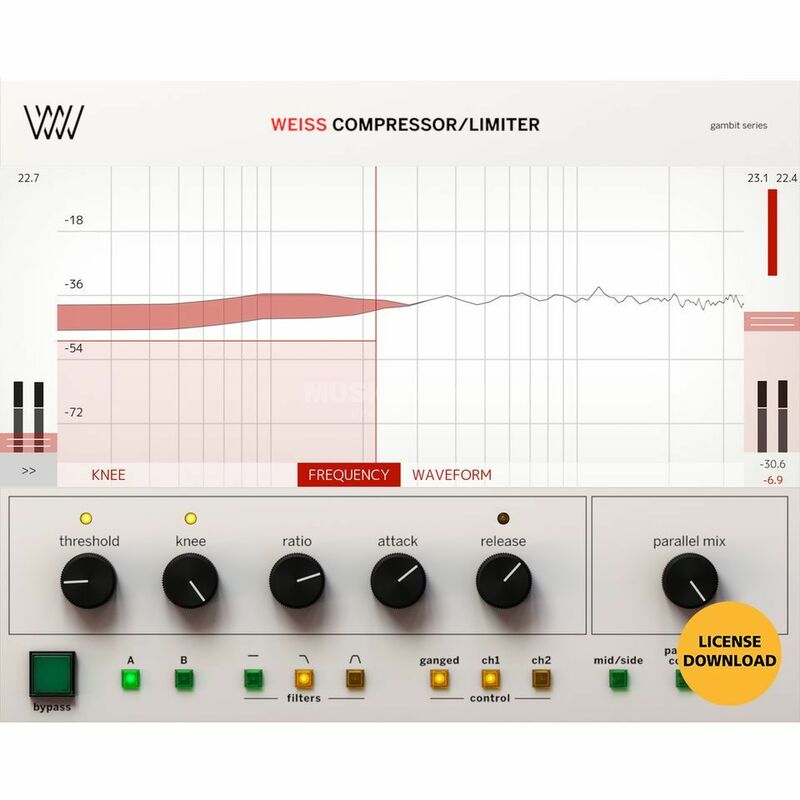 As with the DS1-MK3, the cooperation between Daniel Weiss and Softube has paid off, which is why the Compressor/Limiter with all its functions can also convince "Weiss" during testing. The result is an exceptionally clear and transparent sound that is simply fun to master. Advanced waveform metering, parameters such as attack, release, knee, ration, threshold, low pass and bandpass filters, a mid/side function and parallel compression are also included. In short, everything you need to get the most out of a signal.